Craig Carton was released after a lower Manhattan court appearance Wednesday afternoon on a $500,000 personal recognizance bond secured by a house in New Jersey. 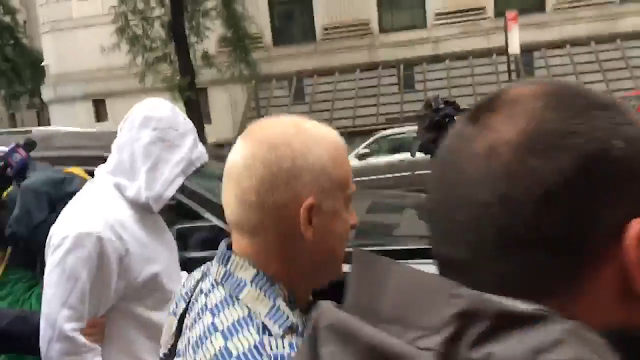 Peter Haskell has video of Craigy leaving...white hoodie and all. Myles Miller claims Craig Carton pushed photographers and reporters out of his way.